Ministry of Tourism (MoT), Republic of Indonesia, has partnered with Adobe to elevate the country’s tourism industry and deliver memorable experiences for visitors. By leveraging Adobe Experience Cloud, the ministry aims to broaden its reach, connect with travelers better, and improve its competitiveness in the region. Adobe Experience Cloud was incorporated to further raise Indonesia’s profile as a destination of choice. 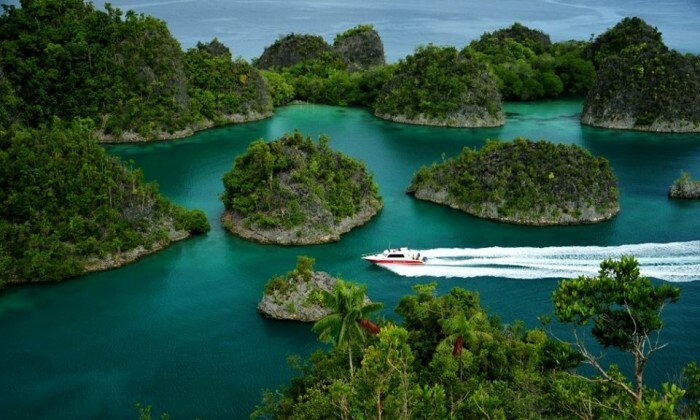 The partnership rides on the rising tide of Indonesian tourism, and MoT aims to capitalise on this growth. In 2016, the country registered 12 million foreign tourist arrivals—a 15.5% increase from the year before. This year, the ministry expects 15 million foreign visitors and projects 20 million by 2019. In line with the ministry’s “Go Digital” theme for 2017, Adobe’s cloud platform will help drive its digital transformation strategy and connect with today’s digital-savvy travelers. One of the critical tools that will help ensure success is Livefyre, part of Adobe Experience Manager. Livefyre will allow the ministry to tap into the power of user-generated content, with the ability to sieve through billions of social posts created by tourists every day, for a constant fresh flow of authentic tourist experiences to share with global audiences. In parallel, Adobe Analytics will provide in-depth analysis of web traffic and visitors to offer insights for targeting and attracting new visitors. “It is important for us to reinvent the way we tell our stories, and continually promote new destinations and activities to our audiences coming from all parts of the world, and Adobe has shown us just how that can be done. The partnership with Adobe will help us connect with our visitors more effectively, better understand their preferences, and be able to customise the experience for them accordingly,” Arief Yahya, Minister of Tourism, Republic of Indonesia said. Another strategic initiative is to strengthen the ministry’s network and reach by establishing an alliance with major airlines. By partnering with Adobe, not only does the ministry gain access to Adobe’s network of airline partners, it also puts itself on the common Adobe Experience Cloud platform that will better facilitate future exchanges of customer segment data between the alliance members. Adobe Audience Manager, on the other hand, will also help identify valuable customer segments to create targeted tourism campaigns. In the first year of the partnership, the ministry aims to sign on 10 airlines partners, including Garuda Indonesia, and Air Asia for a start. “Travelers now expect much more from the destinations they visit. Thanks to the power of the Internet and social media, consumers are empowered with more information than ever before, and with that, an appetite for more personalized experiences. Today, digital experiences are as important as physical ones, and it’s imperative to make sure it is seamless across all touchpoints. The tourism industry must evolve by offering fresh, targeted content to a wider segmentation of audience, in shorter turnaround times, and Adobe is excited to be working with the Indonesian Ministry of Tourism in this landmark effort to ensure every tourist visiting Indonesia gets the best possible experience,” said Tony Katsabaris, APAC managing director of Public Sector for Adobe. WeChat Pay's latest feature Wallet has arrived in Hong Kong to offer payments for tickets, transportation services and travel prod..
UM is also tasked to manage Degussa's performance marketing strategies. .. The offering aims to help brands manage their videos from a single platform, reducing complexity and increasing reach across socia..